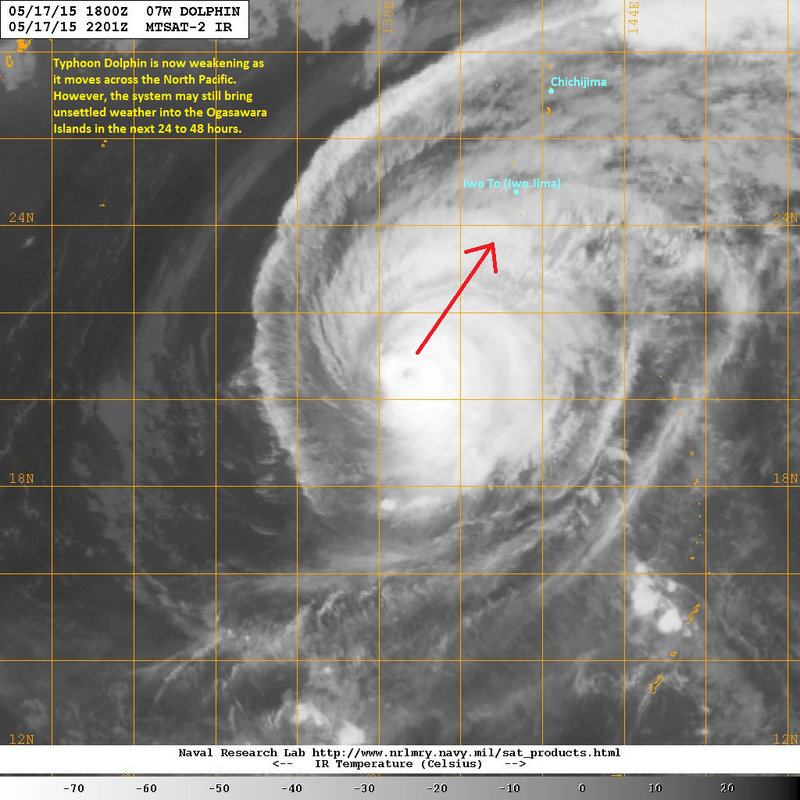 Typhoon Dolphin continues to weaken as it moves farther north across the Pacific. The system was last located approximately 530km southwest of Iwo To (Iwo Jima) Island. Maximum sustained winds are down to 215kph with gusts of up to 260kph. Typhoon Dolphin is currently moving north northeastward at 15kph. Latest satellite image shows Typhoon Dolphin becoming more asymmetrical this morning with the eye becoming more ragged and convective activity weakening. Dolphin is starting to encounter increasing wind shear, cooler sea surface temperatures, and drier air. It will continue weakening as it moves farther to the north. 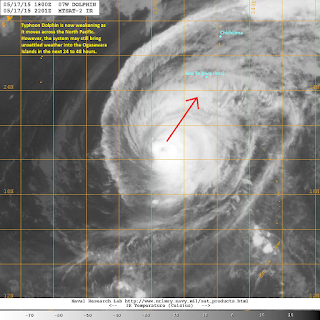 Typhoon Dolphin is forecast to move near Iwo To by early Tuesday morning. The island is largely uninhabited except for an airbase. 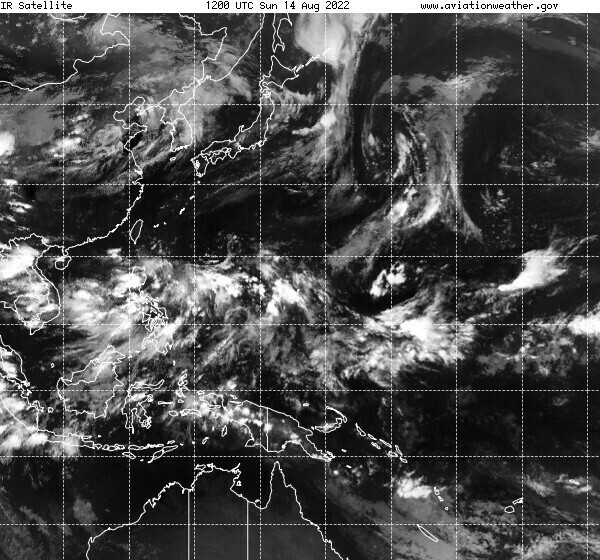 Typhoon-force winds, heavy rains, and high waves are possible here. Dolphin will continue moving northeastward and could also affect the rest of the Ogasawara Islands, including Chichijima which is home to nearly 2000 people. By Wednesday evening, Dolphin is forecast to complete extra-tropical transition and will continue moving across the North Pacific. We'll have another update later today.